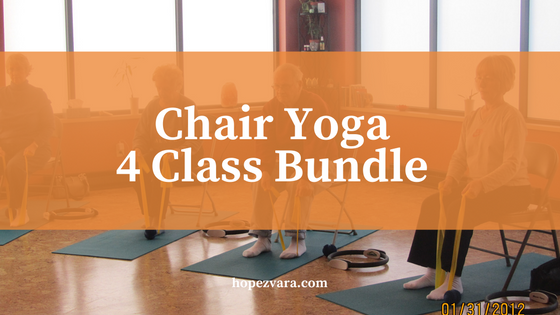 This four class bundle takes students through classes using a chair ranging in length of 38 to 45 minutes. These classes are perfect for those looking to become more mobile or feel more comfortable exercising from the safety of a chair. Chair Yoga offers benefits to all those who simple desire to become more mobile from the comfort of a chair (or with the help standing with a chair). 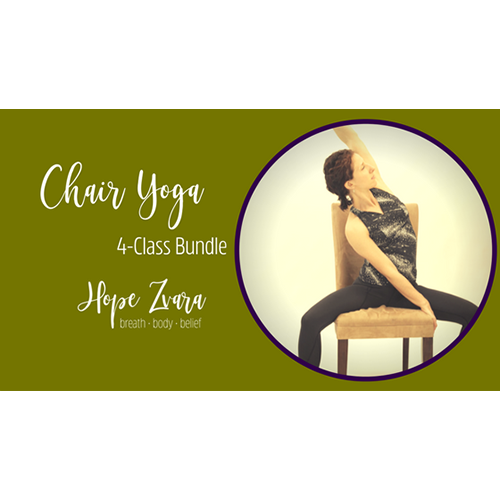 This chair yoga- four class bundle takes students through classes using a chair ranging in length of 38 to 45 minutes. These classes are perfect for those looking to become more mobile or feel more comfortable exercising from the safety of a chair.